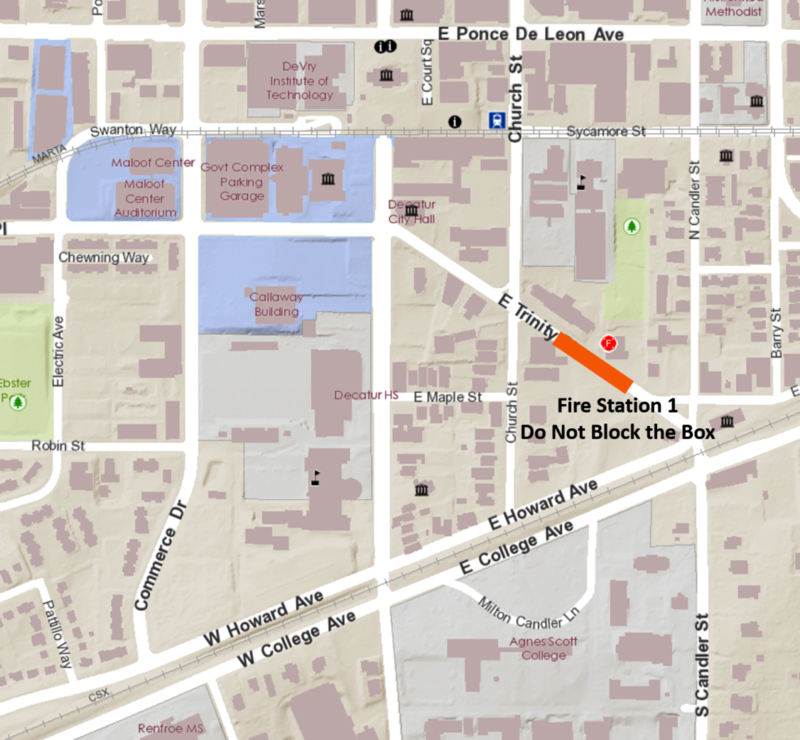 “Don’t Block the Box” pavement striping will be installed on East Trinity Place at Decatur Fire Station No. 1 starting at 9 AM on Friday, April 6. Traffic will be open in both directions during the work but expect minor delays throughout the day. Commerce and N. McDonough remain alternate means of travel through and around the city. Project impact area is shown below. Click image for larger view.